This cottage is nestled into the woodland edge near the Manor House. In front, the cottage overlooks the vegetable garden and distant mountain views beyond. 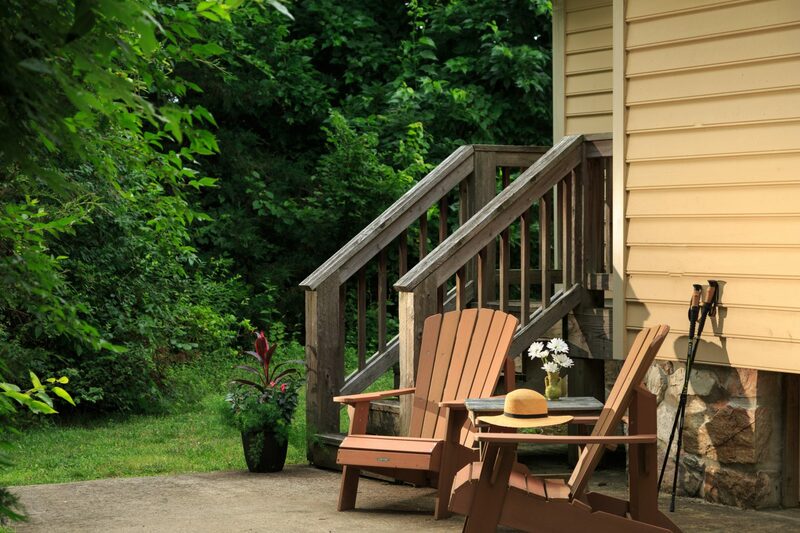 Out back, each room has its own private patio with Adirondack chairs. View a map of the grounds here. 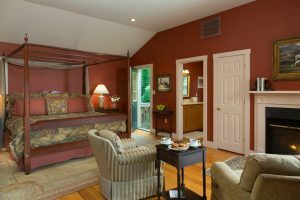 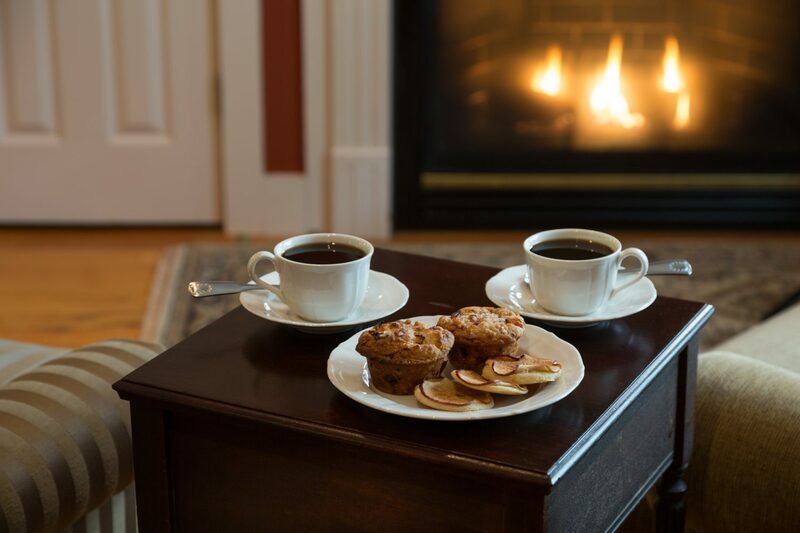 Bedroom features: King size four poster bed, remote control gas fireplace (seasonal only), and comfortable reading chairs. 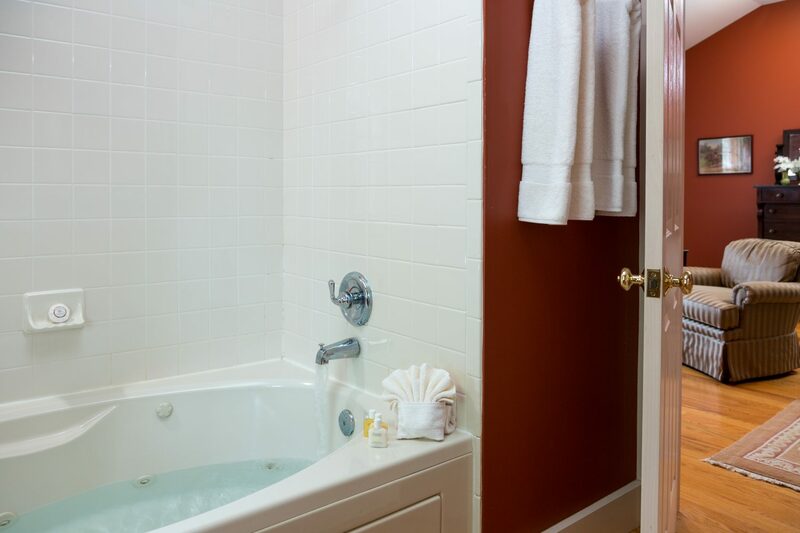 Bathroom features: Large Jacuzzitub-shower combination.